"Imagine a world where your best friend is a robot, you spend all day playing video games and bad things only happen for the sake of a gag. I wish I could live in this book." Contains over 150 comics about the indestructible friendship of a robot and his boy, and previously unpublished bonus materials. "Not since Death of a Salesman has poverty and the harsh reality of the 'American Dream' been so artfully called into question." 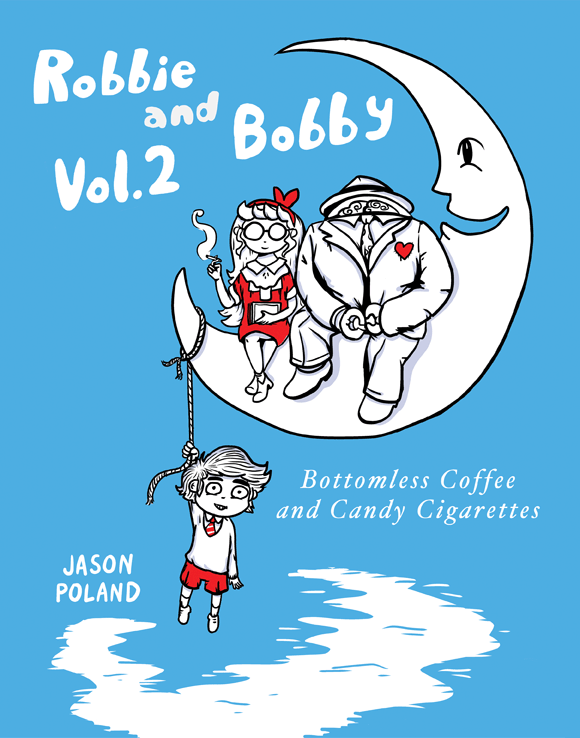 Bottomless Coffee and Candy Cigarettes is the nonlinear second installment of strips from the webcomic, Robbie and Bobby. 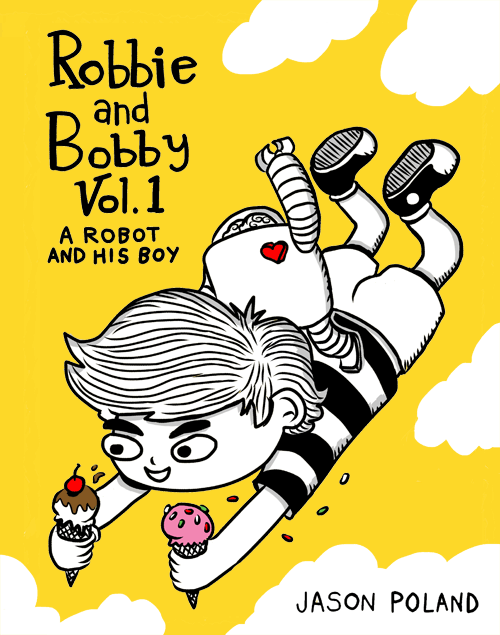 Contains over 120 comics about the indestructible friendship of a robot and his boy, and previously unpublished bonus material. "It’s ridiculously entertaining... [Jason] should be rich and famous." In The Flying Castle, Bobby and Miss Bluestocking are made the unwilling guests of a magic castle that's full of puzzling characters and rooms full of danger. How will they escape?? This book also includes two bonus stories: The Magic Bike, and Roody and Pasqual, plus bonus panels and a bonus color map at the beginning. Lots of bonuses!